my adorable husband decided he wanted to make pickles. he's never made pickles before. and neither of us had ever canned anything but we went to the farmers market and picked out some cucumbers, dill and peppers. and now we have a batch of really good spicy dill pickles. he's pretty fabulous and i love that he gets these crazy ideas in his head. hope you're all having a great holiday! p.s. 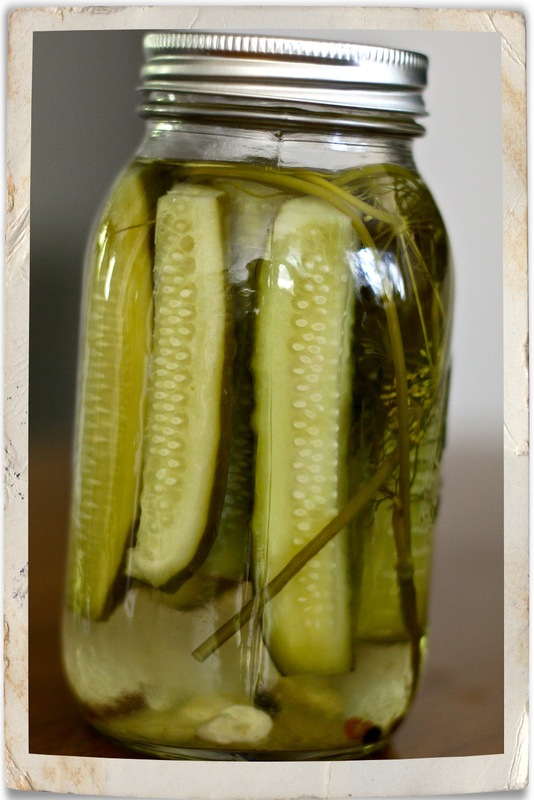 we're making more pickles! Ummm...those look delicious! Go Shaun!